Studio Nilima is an action based research collective based in Guwahati, Assam, India. Inspired by the life of Nilima Dutta, we bring together lawyers, thinkers, academics, artists and students to engage with contemporary concerns of Northeast India, specifically Assam. We initiate dialogues and community engagement and explore new ways of learning, thinking, research and practice. We exist at the intersections; the intersections of law, governance and society. Nurturing new voices from the region through training and research. Undertaking interdisciplinary legal and policy studies in Northeast India. Working towards provision of effective legal services for people in need. 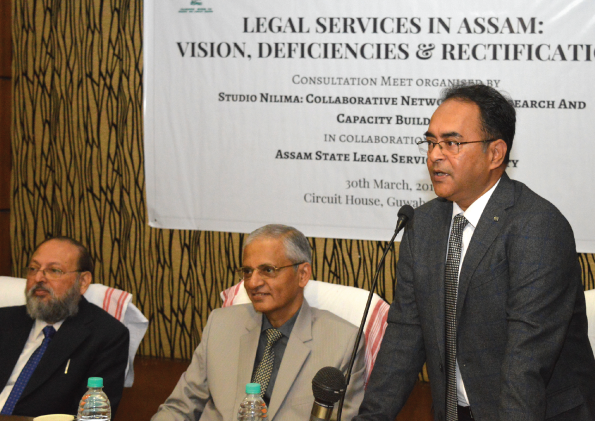 An orientation programme has been initiated as a joint collaboration between Studio Nilima, the Bar Council of India, the Assam State Legal Services Authority and the Gauhati High Court Legal Services Committee. 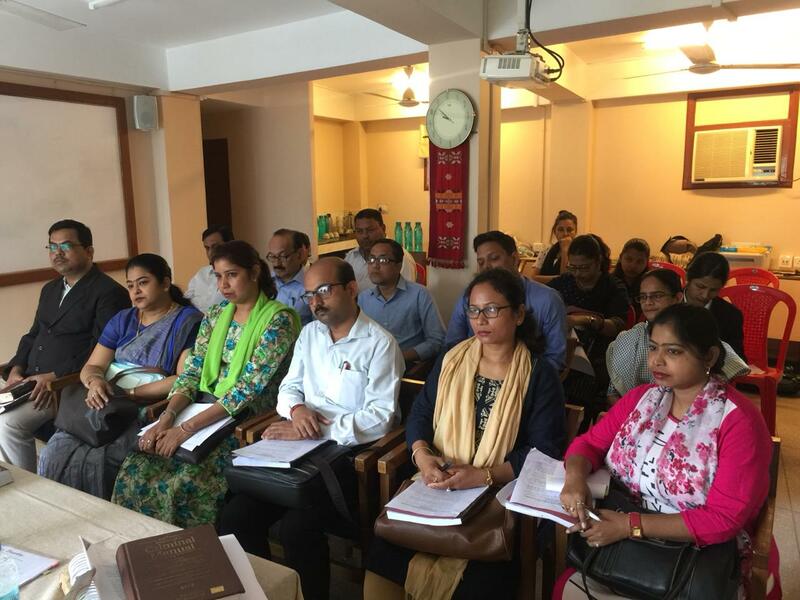 It aims to build capacity of the Panel of Amicus Curiae of the Guwahati High Court and the Legal Aid Counsels of the various districts of Assam through rigorous monthly workshops, training with legal experts of the country and interactions with former Judges. The Studio Nilima Research Fellowship is awarded to emerging scholars from the Northeast who are interested in working in the areas of intersections of law and conflict and/or law and governance. Aimed at generating interdisciplinary scholarship on contemporary concerns of the region, this fellowship is open to scholars from any discipline interested in the study of the region. Get to know more about our past and present fellows in the research section. Sarothi, a companion in Assamese, is an initiative of ours designed with the objective of facilitating and increasing access to justice for the marginalised and vulnerable communities of the region. As part of its mission, we have been conducting regular visits to the correctional homes of Assam in collaboration with the Assam State legal Services Authority and the District Legal Service Authorities. This program has also facilitated two legal awareness camps; one at Baksa and another at Goalpara district in Assam.